At PBFA, a big part of our mission is to increase availability and visibility for plant-based foods. That’s why we’re thrilled to announce our partnership with Lucky, a retail chain of 70 stores located throughout Northern California. This first-of-its-kind marketing campaign is aimed at educating shoppers about the wide variety of plant-based options available throughout Lucky stores. 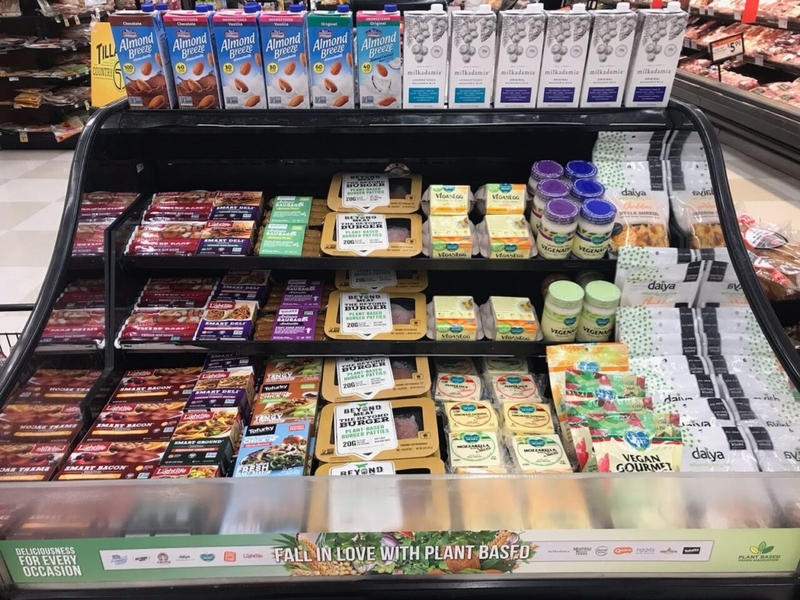 The campaign’s slogan is “Fall in Love with Plant Based” and from now through December 2, Lucky stores will feature a variety of promotional and educational materials on the 16 PBFA member brands sold in Lucky Supermarkets. That’s right, 16 PBFA member brands are already offered at Lucky! From plant-based milks, to yogurt, to cheeses, to many varieties of meat. There is truly a plant-based option for everyone. We will have numerous marketing tactics over the 8-week period, including point-of-sale ads at 7 difference sections of the store! We also have an educational booklet with coupons for shoppers, a radio spot, discounts, and tasting demos planned at select stores. Plus, we are working with a celebrity to make an in-store appearance later this month, so stay tuned for that! Our sixteen awesome PBFA member brands participating in the campaign are: Almond Breeze, Beyond Meat, Califia Farms, Daiya Foods, Follow Your Heart, Forager, Good Karma Foods, Lightlife Foods, Milkadamia, Morningstar Farms, NadaMoo!, Pure Blends, Quorn, Ripple Foods, Sweet Earth, and Tofurky. Starting with stores in Northern California is especially exciting for our Bay Area based members and staff. I was able to visit (and shop!) at the Lucky store near me Oakland got this shot of our sign posted with a variety of PBFA brands, it looks great. 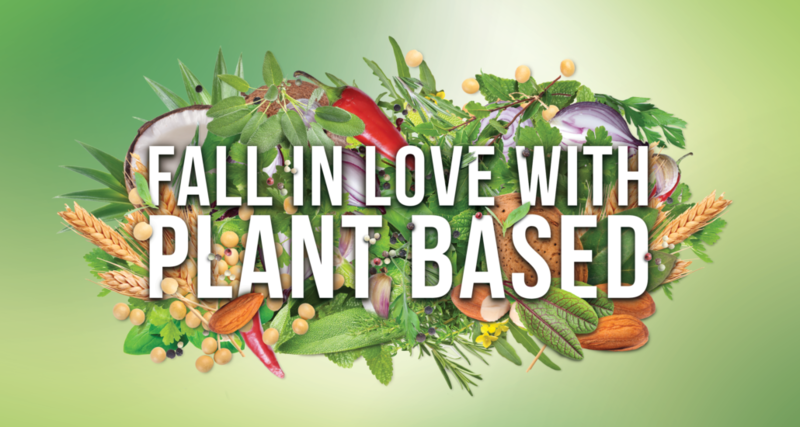 If you live in the Bay Area, and you spot our Fall in Love with Plant Based campaign at your local Lucky please share and tag it and tag us on social for a chance to be featured on PBFA’s Facebook, Twitter, and Instagram.